The library is open for everyone, and its use is free of charge. The library collections include books, magazines, CDs, videotapes and DVDs. Most of the material is available for home loan. All borrowers need a library card. 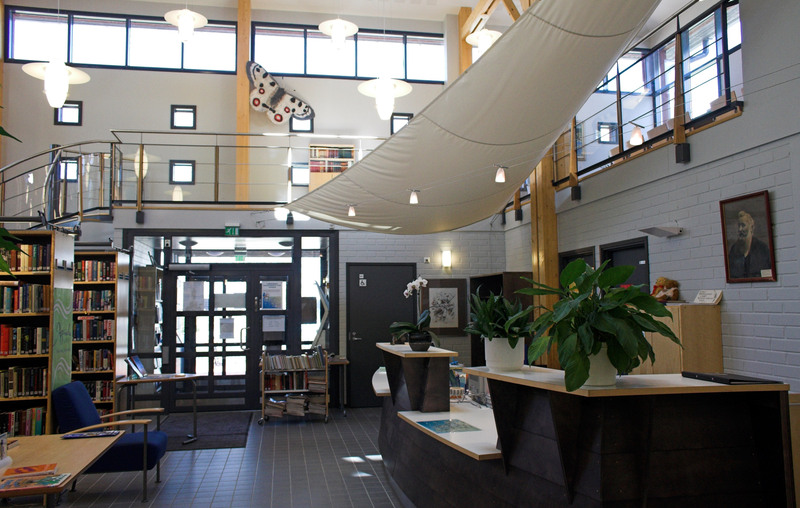 The public library building also houses a school library with an exhibition space. 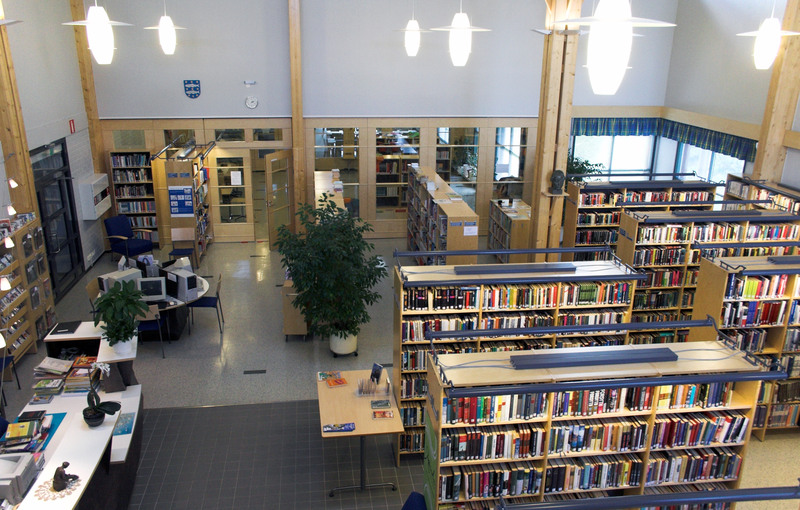 The floor space of the school library is 80m². 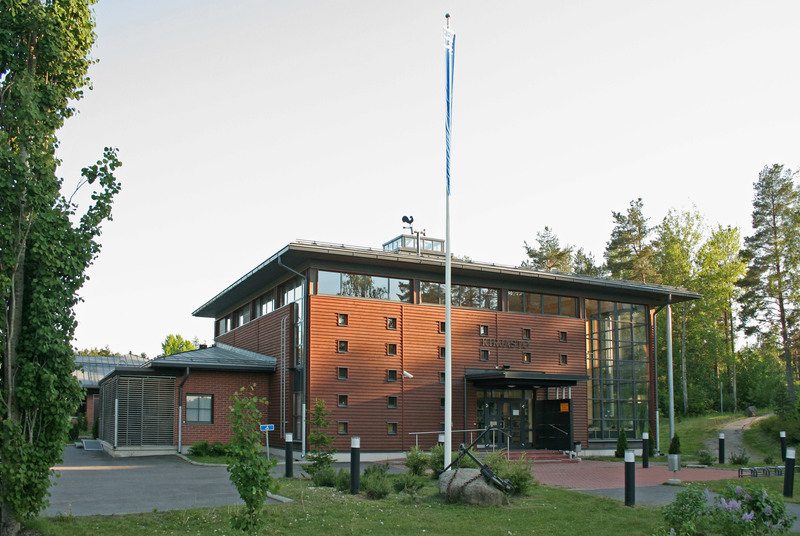 The collection has been chosen for the pupils of the Rymättylä junior school (classes 0–6) who have acces to the library also outside public library opening hours. The school library is open to all users during normal opening hours and the collection is available for home loan. The librarian is responsible for the school library and the exhibitions. The main library hall, the school library and the school lunch room are separated by movable glass walls which makes the space ideal for organising events of various sizes. The seven meters high main hall has a 50m² loft which adds valuable floor space. The loft is reached by a spiral staircase and used for meetings. It is also a popular space amongst pupils who like to do their homework up on the balcony. The 230m² floor space includes a 10m² magazine and a 21m² office space. 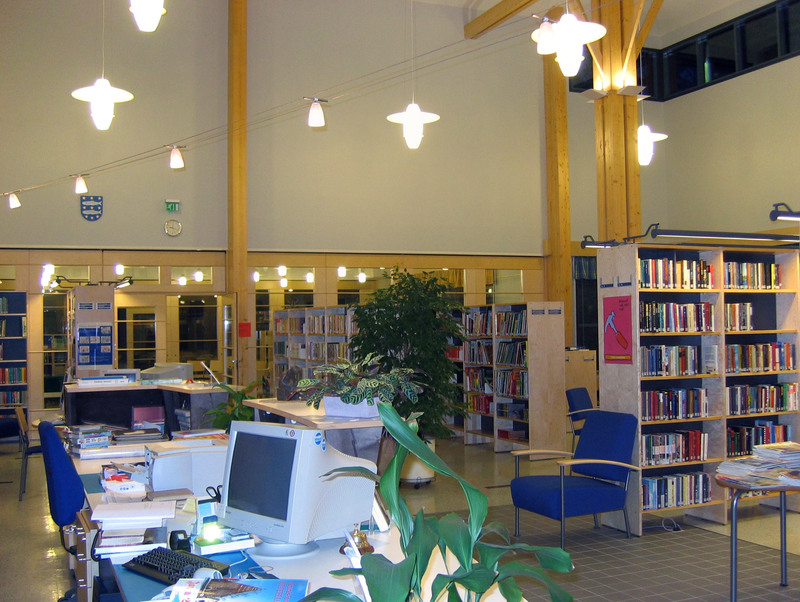 The town service point where users get assistance and advise on the services of municipal authorities operates in the library.